It’s the Second Europan War: the Atlantic Federation and Imperial Alliance are locked in conflict, fighting tirelessly to get their bloody hands on the enemy’s stash of the all-too-important resource, Ragnite. In the middle of all this chaos, a quirky band of misfits rises out of the rubble to fight for the safety of their friends and country. And it’s the military escapades of these oddballs that are at the heart of every Valkyria Chronicles game—turn-based, third-person tactics with a team of adorkable fighters. After a brief foray into uncharted territory with the lukewarm Valkyria Revolution, Valkyria Chronicles 4 is looking to bring the series back to its roots and polishing that experience to a shine. It’s a return to form for the now decade-old series and the best entry to date, albeit playing it extremely safe. The CANVAS engine flexes its muscles once again, giving players an unparalleled visual experience—that hand-drawn, watercolor look that drew eyes to the 2008 original. While that one suffered from poor character models (oh dear, those hands) and a number of other shortcomings, Valkyria Chronicles 4 leverages the power of the new machines to smooth out those rough edges. However, I admit to being the smallest bit underwhelmed given that the first mainline entry to land on home consoles in a decade looked so similar to the original. That smidgen of disappointment extended over to the story, which in its first act played out like a less interesting version of the original. I saw undercooked versions of that game’s characters and story beats, with no original ideas on the horizon. It was a story that wanted so badly to replicate the magic of the original with the new Squad E, but didn’t want to put in the legwork to make it happen. It wouldn’t be until 15 hours in when Valkyria Chronicles 4’s story and gameplay, would come into its own. But until that shift in gears, everything I was experiencing I had already experienced years before. The gameplay was identical, even down to the presentation of obstacles that the group had to overcome. It was as if the series learned nothing from its PSP sequels. Knowing this would be a lengthy experience, I buckled down for the long haul hoping that my impressions of the game would change. Lo and behold, upon entering the second act, Valkyria Chronicles 4 decided to play the rest of its cards. The setting shifts to the Arctic regions under Imperial control where Squad E is tasked with the seemingly impossible task of, well, pretty much winning the war single-handedly. While dramatic may be too potent an adjective to describe the change, the new arsenal and commands do push the combat in the right direction. The story treads into more interesting territory as well, laying down a slew of twists and turns to hook players in. The combat framework is more or less the same. Every turn, players are allowed a handful of CP (or command points), which determine how many moves you can make. Certain actions cost more CP than others, but for the most part, one point per action is standard. Total CP is influenced by several factors, most notably the number of key squad members you have on the field. Once you select a character from the field overview menu, the camera switches to a third person view where players can move that character as they would in any third person shooter: checking corners, crouching, going prone, etc. Movement distance is determined by AP (action points), with certain classes having more AP than other, slower classes. On top of moving, characters are allowed one action: shooting, healing, explosives, etc. Be wary, enemies can detect and subsequently fire at characters in real-time, so split-second decision-making is crucial to success. Claude, the squad leader, can use orders and other special actions to buff other units. Your turn ends when you run out of CP and the enemy team takes their turn. Fulfill the win conditions before 20 turns passes and victory goes to Squad E; the same applies to the enemy. The scout, shocktrooper, engineer, sniper, and lancer classes make their return, but Valkyria Chronicles 4 adds the grenadier class, slow-moving backline units that lob grenades at range to decimate enemy personnel and armor alike. At first, the new class vies with the sniper as the de facto ranged killer. It’s only later in the game that the class carves out a space for itself as the obstacles in levels get more complicated. Like its predecessors, later levels focus on delivering new, challenging levels with unique win conditions and roadblocks that encourage creative play. Unfortunately, any player proficient with orders will be able to easily cheese the majority of these later levels and safety ignore the bulk of the challenge. Small annoyances like awkward hitboxes on obstacles, incorrect damage values, and lying explosive aiming arcs often punish more precise play and end up wasting valuable CP. Every action counts especially when the scoring system remains as cruel as ever. Valkyria Chronicles’ grade-based scoring system has always valued one thing: speed. I’ve cleared levels in less than ten turns, all my units near full health, and every enemy base taken, but still received a D-ranking. How well I play is irrelevant, overshadowed by how fast I should play. It’s as if the game was telling me how I should be playing, instead of encouraging me to experiment. 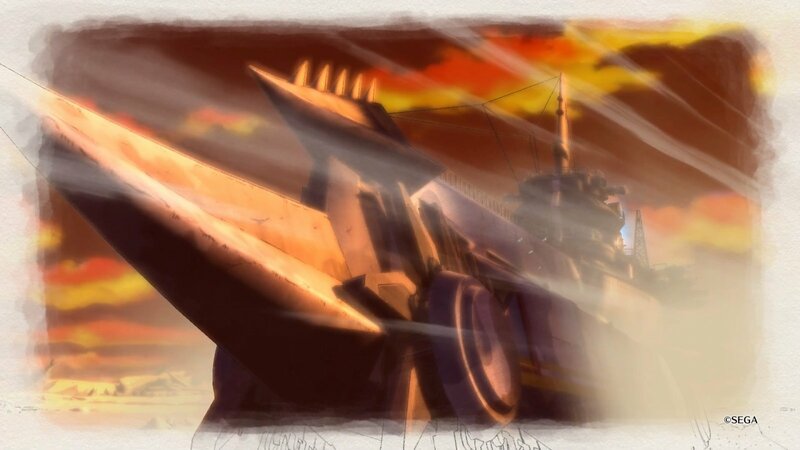 Valkyria Chronicles had a severe issue when it came to grade-based play, often resulting in only a handful of units being used while the rest hang out at the starting area. Why use all the troops and drain additional CP? Valkyria Chronicles 4 attempts to remedy this issue by re-introducing Valkyria Chronicles 3’s direct commands, allowing 3 units to move with the price of one. The option of an APC, an armored vehicle that can transport units, serves a similar purpose while also acting as mobile cover. Players are accompanied by the Centurion, a colossal battleship with its own set of exclusive orders gives players additional leeway. Abuse of orders continues to be the choice pick, but the addition and tweaking of systems to support faster play is a much needed improvement. Aggressive play is still high-risk, and often I find myself just shy of my goal. Valkyria Chronicles 4 adds a last stand system that activates on occasion following a unit being downed. This special state allows players to choose between one bonus turn or the power to strengthen another unit close by, granting them those extra few steps they needed to clear a goal. It’s a powerful, new tool that might just save some players from hitting that retry button. Outside of combat, players are treated to the same storybook menu that they’ve grown accustomed to over the years. Each chapter in the story features a handful of visual novel-style scenes and two missions on average. In the headquarters, units, tanks, and the Centurion can be outfitted with new upgradable gear, new orders can be learned, and classes can be leveled up to unlock new traits and tools. A veteran of the series can expect the layouts to be identical to what they’re used to. Valkyria Chronicles 4 introduces the widest array of tools and squad members to date, many of which are questionable additions to the game. The more action a unit sees, the more they’ll improve, turning their detrimental traits into positive ones. Certain units are borderline unusable, stacked to the limit with crippling debuffs for traits, while others start strong and get stronger with time. A bonus to playing with every unit comes in the form of squad stories, special story-driven chapters dedicated to a small group of units in Squad E.
Squad stories, piled on top of skirmishes, repeatable main story missions, and the hard modes of each, add up to the most diverse and meaty end-game in any Valkyria Chronicles game. Classes can also be leveled beyond their cap in previous games, adding further incentive to keep playing and strengthening Squad E. The main story clocks in at around 40 hours, with extra content pushing those numbers up to 70-80 easily. If any Valkyria Chronicles game is worth your money, it’s going to be this one. The most polish, the most content, with the same charm and challenge fans have come to expect, Valkyria Chronicles 4 is a definite pickup if you’re a fan, and a solid choice if you’re the market for a unique tactical RPG. While it suffers from a slow start and a few other hindrances, it finds its footing and delivers on its promises with a strong second half. Valkyria Chronicles 4 brings the series back to its roots and polishes that experience to a shine. It’s a return to form for the decade-old tactical RPG series and its best entry to date, albeit playing it extremely safe. While it does iron out some of the kinks that plagued its predecessors, it does little else.